Affiliate links in post, all opinions are mine. 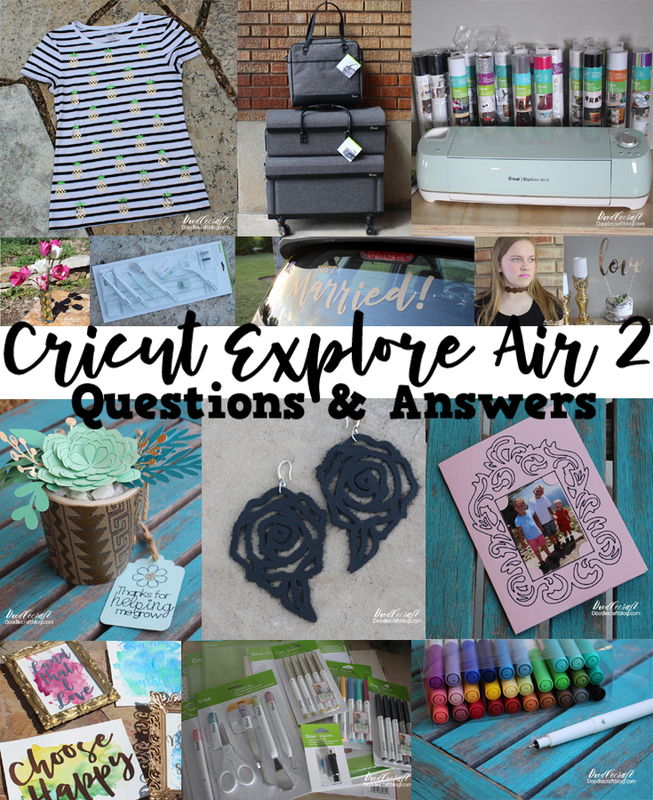 I love my Cricut Explore Air 2. I've been enjoying mine nearly daily for almost a year. I think it's a wonderful investment because it is so versatile and can basically pay for itself (check out my post on making money with your Cricut). My favorite medium is Iron-on vinyl, I love making tee shirts, tote bags and pillow cases. 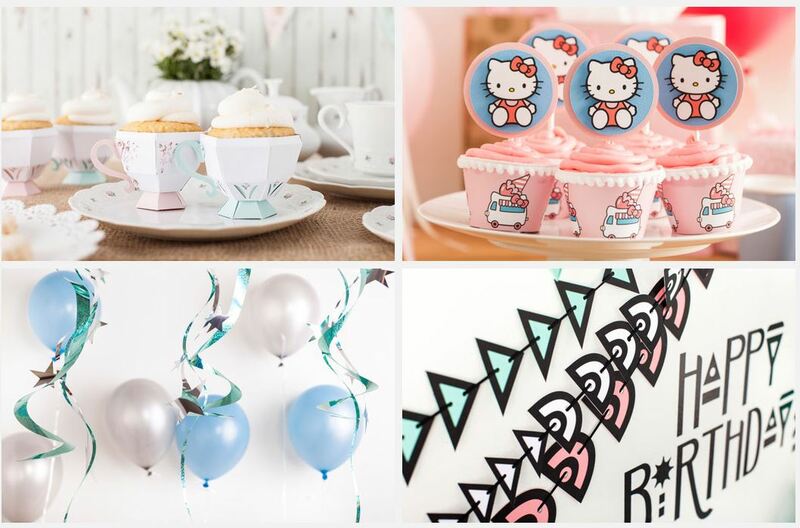 The Cricut is easy to set up and get started using right away...full post here. Now, it's simple that you need one, so enter the giveaway rafflecopter at the end of this post. 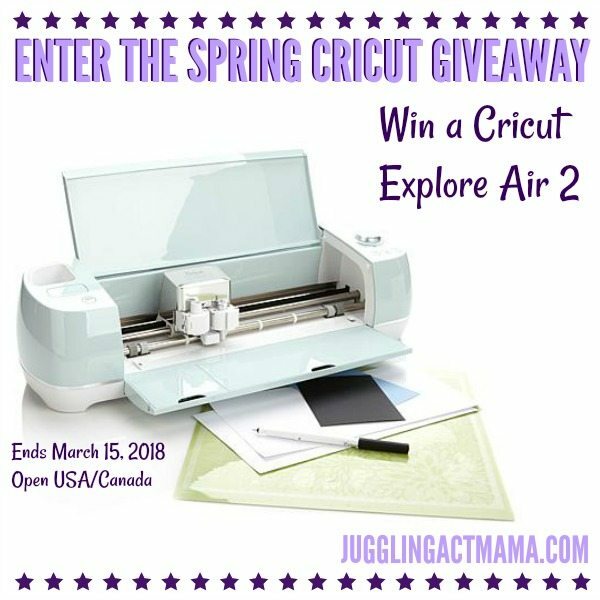 Enter the 2018 Spring Cricut Giveaway for your chance to win this amazing cutting machine! Contest ends 3/15/2018, 11:59pm EST. Open to US and Canadian residents only. See official rules for details. This post contains affiliate links; we are a participant in the Amazon Services LLC Associates Program, an affiliate advertising program designed to provide a means for us to earn fees by linking to Amazon.com and affiliated sites. This post also includes other affiliate links. I only promote things that I love and think you will love, too! For more information, please see our Disclosure Policy. 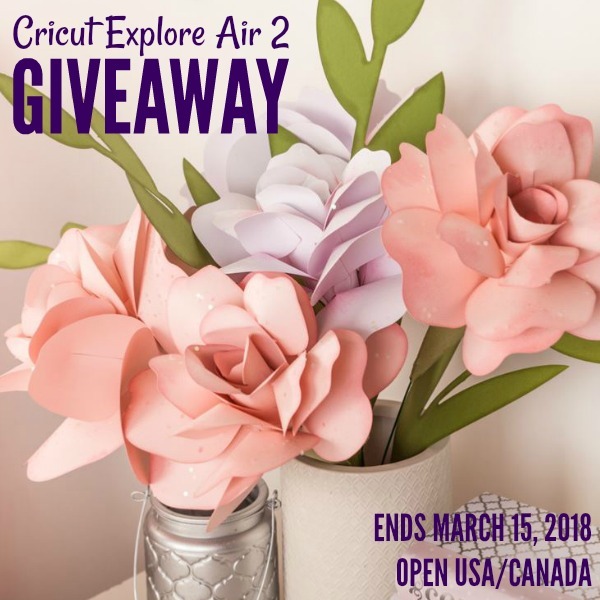 The 2018 Spring Cricut Giveaway was organized by Juggling Act Mama and brought to you in part by the following awesome bloggers: Doodlecraft, Mod Podge Rocks, and Your Everyday Family. You can cut and write faster and more precisely with the Circuit Explore Air 2. This is the ultimate DIY machine! You're able to upload your own images for free, select from the 3,000 ready-to-make projects, or create on your computer, tablet, or smartphone. It also comes equipped with Bluetooth for wireless cutting. And the possibilities are endless because you can create projects on over 100 different materials, from vellum to leather. All this gets done quickly thanks to the double tool holder that allows for cutting and writing or cutting and scoring in one simple step. This machine gives you the tools and features you need to personalize, design, and create in a way that shows you care. It’s easy to get inspired on the Cricut website. There are just so many gorgeous projects look at! 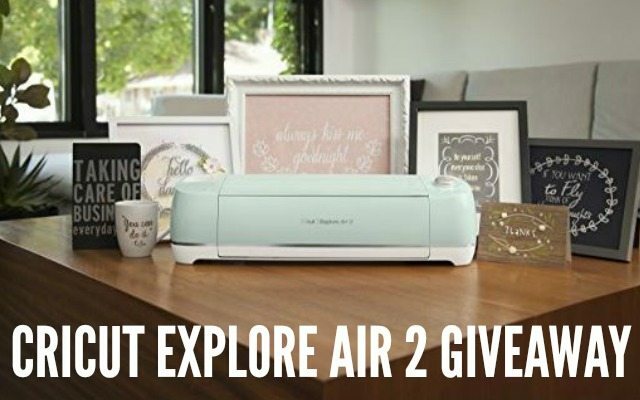 Official Rules and Conditions for the 2018 Spring Cricut Explore Air™ 2 machine Giveaway: One winner will be receive a Cricut Explore Air™ 2 machine. Open to US/CAN residents adults 18+. One (1) winner will be chosen. Prize must be claimed within 48 hours of announcement or a new winner will be drawn. Prize will be delivered electronically. All entries will be verified. This giveaway is in no way associated with Facebook, Pinterest, Twitter, Instagram, Rafflecopter, Cricut or any other entity unless otherwise specified. Giveaway ends 3/15/2018. Enter using the widget below. I would up my game in the altered art world! Thank you for the opportunity! I love your blog! T-shirts and bags! I've started using iron-on vinyl to create bags for my girls for each of their activities (dance, gymnastics, swimming, etc.). They've also started requesting customized shirts. The Cricut Air 2 would make cutting things out so much easier! I would love to make some awesome gift tags and cards! Also, paper cutouts for my bullet journal and diary would be cool! First off! Thanks for sharing such a great prize! I love making crafts. Its so relaxing and a great way to meet new people and share interests.